If it wasn’t for the alcohol, beer would probably be considered a health drink. 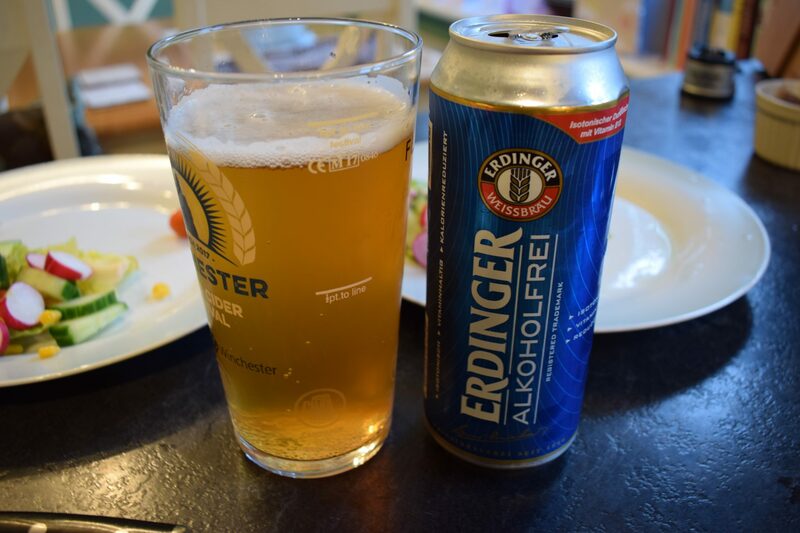 It’s isotonic, so it quenches your thirst quickly. It contains carbohydrates for energy and protein, which helps your body repair itself. It also contains vitamins such as folic acid and vitamin B12. Strip out the alcohol then and you have yourself a pretty healthy drink. 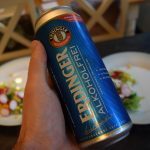 Hence why brands like Fitbeer and Lowenbrau market their non-alcoholic beers as drinks to accompany a healthy lifestyle. 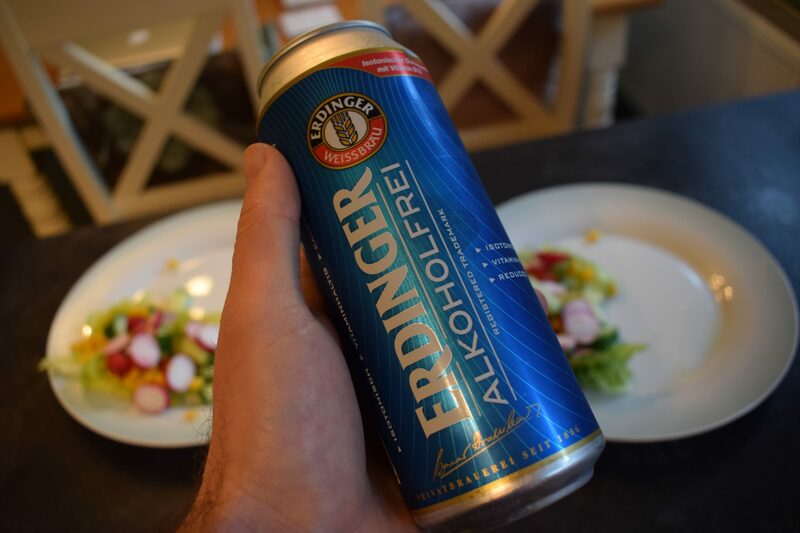 And why elite sports stars in Germany drink non-alcoholic beer instead of isotonic sports drinks after training. 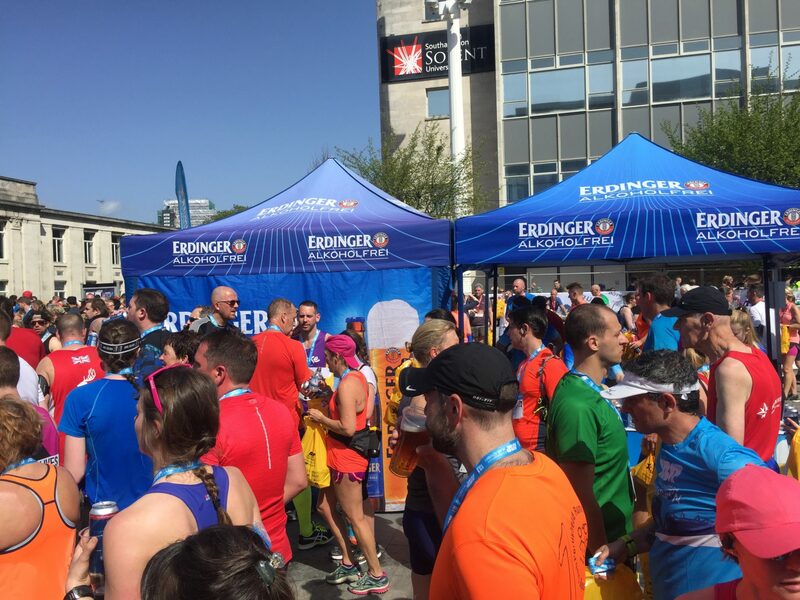 Erdinger “Alkoholfrei” is another non-alcoholic beer that sells itself on its sports recovery credentials. It contains wheat as well as barley, so it has a few more calories than non-wheat beers – ideal for boosting your energy after exercise if you like the taste. I’ve been handed one at the finish line on several half-marathon races over the past few years. But, at the end of a run or in the garden when the sun shines, is it any good? It pours a hazy golden colour with a decent head. The aroma doesn’t jump out at you but some malt and yeast smells hit your nostrils when you take a sniff. In the mouth, it feels close to a regular beer, which is probably an effect of the wheat. It’s well-carbonated and fizzy on the tongue, encouraging sips rather than a big glug. The taste is sweet and malty, almost grainy. There’s a hint of the banana flavour you get with a regular German wheat beer, but you have to search hard for it. It’s slightly bitter but easy to drink once you get past the bubbles. Despite the dry finish, it is quite refreshing. Fortunately, the high carbonation doesn’t cause too many burps. This is a perfectly acceptable non-alcoholic beer. It’s a surprisingly good post-workout beer too, which is definitely more fun and refreshing than plain water. Sure, the taste and smell could be a little more interesting. But it still beats many standard beers in this department.